We love colour! But at what cost? The fashion industry invests extensive research into colour trends each season, which means textile dyeing and processing plays a vital role in the supply chain. Yet how much water is used (and often polluted) in order to achieve the colours we love so much? Traditional textile and fibre processing — which includes dyeing, printing and finishing — is intensive in water and energy consumption. 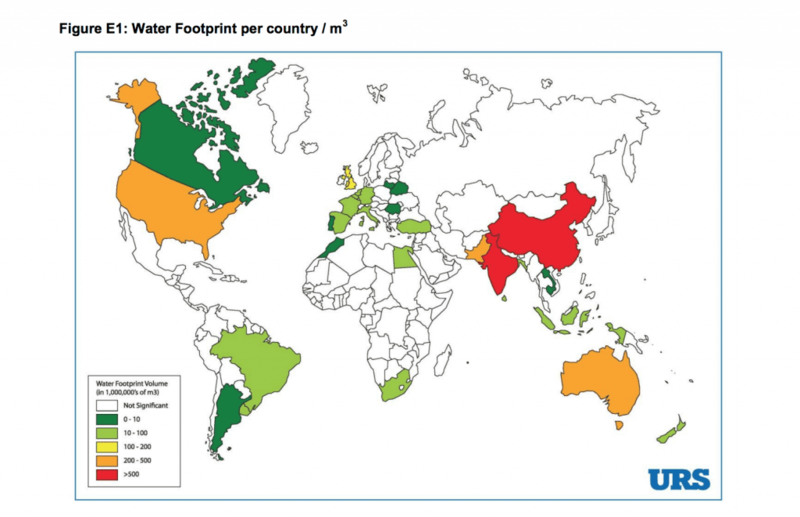 According to WRAP (Waste and Resources Action Programme), the water footprint in the UK alone is 2,534m3 of water for every tonne of clothing used in one year, with 318m3 /tonne at the processing and manufacturing stage (WRAP, 2012) — that means the water used in processing and manufacturing is almost the size of an average swimming pool! Water is one of The Sustainable Angle’s main environmental concerns, and a key criterion when it comes to selecting suppliers for our Future Fabrics Expo. In support of the UN Sustainable Development Goal 6 – Clean Water and Sanitation, our ‘Water’ criterion encompasses the reduction of water use and wastage across the textile supply chain, the treatment and filtering of effluent and wastewater, and the use of exemplary wet processing methods. Addressing water scarcity and pollution are important global issues, along with the effect upon biodiversity and associated human health risks. Water scarcity affects more than 40 per cent of the global population, and more than 80 per cent of wastewater resulting from human activities is discharged into rivers or the sea without any pollution removal (United Nations, 2018). Most textile processing is heavily concentrated in regions where water quality is low, putting vulnerable populations at risk. However, new solutions and innovations have made dramatic improvements in the reduction of water consumption and chemical pollution. These innovations consider water use, chemicals, the ingredients dye pigments are made from, where dye is added, and in which stage of the process. Reinventing the way denim is dyed is one way to address these challenges. Archroma’s Advanced Denim processes use a new eco-conscious generation of concentrated sulfur dyes, instead of the high-risk chemical aniline traditionally used in indigo. These sulfur-mixed dyes are fixed to the fibre, applied with protective starch, then oxidized with bi-catonic agents, eliminating all other steps in the dyeing process including wastewater. By avoiding the batch-dyeing process entirely, and applying colour directly into the filament is how We aRe Spindye is addressing textile dye challenges. Imitating nature’s colours using microorganisms is an ingenious reinvention of the colouration process, developed by Colorifix. To learn more about these and other low-impact and water saving dye innovations, register to visit our 8th Future Fabrics Expo in January 2019. For more information about The Sustainable Angle’s Environmental Criteria, click here.